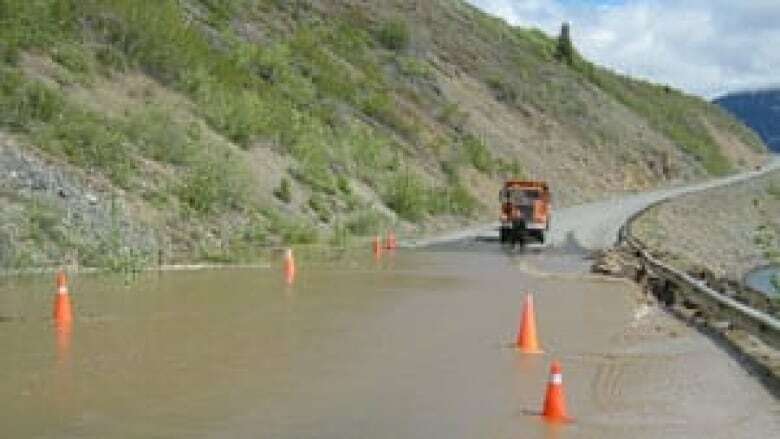 Parts of the Alaska Highway are now open in Yukon, in the wake of what a government official is calling an "unprecedented event" of mudslides and washouts all over the territory. Parts of the Alaska Highway are now open in Yukon, in the wake of what a government official is calling "an unprecedented event" of mudslides and washouts all over the territory. The damage forced road closures and kept delivery trucks off highways. 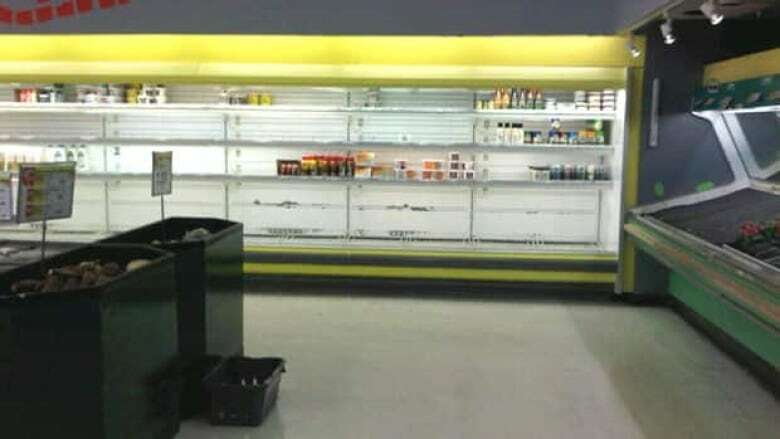 Stores all over the territory are running low on supplies as people rushed to stock up. Some homes in Upper Liard in Yukon were evacuated Saturday, while 24 residents of Lower Post in northern B.C. left their homes early Sunday morning. Seventy-seven people chose to stay in the community. "As people know, we’ve had a fairly unprecedented event right across the Yukon," Allan Nixon, Yukon's assistant deputy minister of highways, told CBC News. "Our crews have been working non-stop here to get the roads reopened." Some major highways, including the South Alaska Highway between Watson Lake and Teslin, should be open within the next 24 hours, Nixon said. "I think the best news we’ve got is on the South Alaska Highway. Crews have been working very hard. We think — we’re hopeful — that we will be able to get a pioneer trail through that area either late tonight or early tomorrow. … So I think, you know, for people who are concerned about supplies and stuff, we can relax," Nixon said. Repair crews have had some success in clearing the northern part of the Alaska Highway. The section of highway between Haines Junction and Destruction Bay is now open to two-lane traffic. Elsewhere, the South Klondike Highway between Carcross and Skagway is now open to two-lane traffic as is Highway 37 South. Nixon is advising drivers to be careful when using those roads. "It's narrow. People need to drive slowly through the washout zone," he said. "They're going to be rough, there's going to be delays — it's not going to be like driving the Alaska Highway on a normal day, but traffic will be able to get through." Crews are also working to open the Nahanni Range road, which suffered significant damage from the washouts. Nixon said crews have not been able to get to fixing the South Canol Trail yet, which remains closed. The Robert Campbell Highway is still closed. Officials with the government of Yukon say the damage, worse than previously thought, will take a few days to repair. All airports in the territory remain open, Nixon said, adding the website 511 Yukon will be updated often. The Yukon government has also set up a public information office in Watson Lake.